Alta Floresta is located in the extreme north of the State of Mato Grosso. However, the ecosystem is quite different from that found in the Pantanal Swamplands and the Brazilian interior: it is where the Amazon begins. The tropical forest meets with the interior brush and results in a scenery of incredible beauty, making the location one of the main tourist spots of the Amazon region. 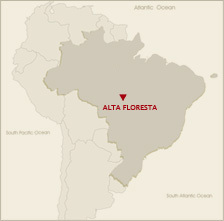 Alta Floresta has modern commerce and great hotel infrastructure, including a hotel in the jungle itself. The region is considered to be of tremendous potential for sport fishing. Untouched woodlands with ancient trees resist the attacks of the lumber companies and ensure the food for the survival of monkeys, tapirs, deers and more than 400 species of birds, such as macaws, toucans and parrots. We have selected some of the destinations we work with the most in order to create these maps especially for our customers. 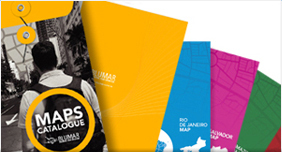 They are rich with useful information relevant to planning and picturing the best trips throughout Brazil. 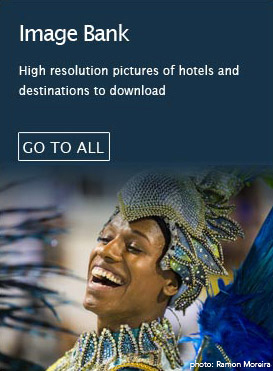 The best way for travelers to enjoy the true spirit of Carnival. 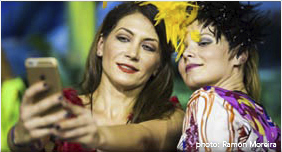 Your clients will be able to experience the intense emotions of this special celebration as honored guests of one of Rio's legendary "Samba Schools". Wearing their very own costume from the school on parade night, they will be escorted to the Sambodrome with our guide and fellow members of "Escola de Samba". 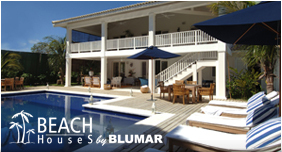 BLUMAR'S COLLECTION of private homes and villas offers immaculate furnishings, exclusive privacy and exceptional concierge services. In this highly personalized environment clients can select a home in accordance o their particular needs and tastes, as well as their budgets. 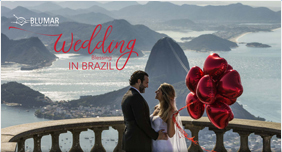 The perfect wedding location must represent the style and spirit of the bride and groom, and Brazil offers a wide array of options, including stunning tropical beaches and beautiful historical towns with baroque colonial churches, rich culture and religious energy, not to mention spectacular natural wonders which not only provide a unique backdrop for the special day, but also excellent options for a fantastic honeymoon.